Hey guys! 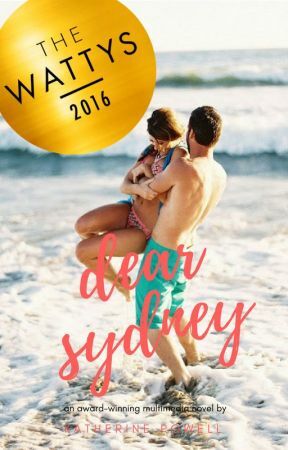 So sorry that this isn&apos;t an actual chapter, but I&apos;ve received a lot of questions from multiple people about Dear Sydney, which I totally understand and am so thankful for because it is a different kind of book! So here are some answers to Frequently Asked Questions! I will update this list as I receive more questions that I think a lot of people might have! I&apos;m adding it as a chapter so that everyone reading through will be able to see this towards the beginning of the book! If you have any questions or comments please leave them below!! Q: Are the Twitter/Facebook profiles real people? A: Nope! I created fake profiles for all the characters on various websites! None of the posts happening are actually occurring in real life, there are no evil Delaney&apos;s or Ashley&apos;s spewing their mouths all over the place (even though both of those characters are based off of people I actually know...). Q: Are the text messages real? Do you use your phone and text yourself? A: Nope! Again, I use a website to create fake messages! Some people told me when I just started the idea for this book that I could always text myself and delete every other text to make it look like a conversation, but honestly, the website makes it so much faster. Q: Wait, they&apos;re fake profiles? How did you make them? A: The websites I use are super easy and self-explanatory when you visit them...otherwise I wouldn&apos;t be smart enough to figure them out! Q: What websites do you use to make the fake profiles? A: I use different websites for each of the different kinds of social media/text messages! A: I update every Sunday and Wednesday! My upload schedule has been a little weird as I got the book up and going, but it will remain steady! I love seeing everyone asking this question, because it lets me know that you&apos;re not bored of the idea! Q: Is Connor the girl? Or is Sydney the girl? A: Connor is a boy and Sydney is a girl! I didn&apos;t realize that the two names I had picked could go either way, so I just wanted to make that clear, since I realized it was confusing! Q: Why did you add a cast to the story? It&apos;s all in letters. A: I actually did that accidentally. The cast wasn&apos;t supposed to go up until Chapter 15, which is when all the profile pictures of the characters change to be a picture of the celebrity I "cast" to play them! So in Chapter 15, the cast will make more sense, but until then, I&apos;m sorry if it was confusing! Q: Why did my comment get deleted? A: I delete all comments that have the f-bomb in them. I&apos;m not big on cussing and don&apos;t particularly want that on my stories, but please don&apos;t take this to mean I do not appreciate your comments!! I love them all and read them all, but I simply am not comfortable with having that word on my page, it is not meant to offend anyone! Q: Why are the uploads so far apart? A: I have to upload only twice a week because it takes a lot of time to make the social media posts and text messages, and I still have school and extracurricular activities and my writing for The Odyssey website that I have to submit every week! I just can&apos;t devote a TON of time to the book alone, but I figured two updates a week should be good! Thank you guys so much for wanting more and for enjoying the book so much, and I hope the time in between updates won&apos;t make you want to stop! Q: Can I follow Connor and Sydney on Twitter? A: YES! After my Chapter 11 update, I created Twitter accounts for both Connor and Sydney using their Twitter handles from the book! (Except Connor&apos;s has two upper case "i"s instead of "L"s in "hall" because that was already taken) You can follow them, tweet them, and interact with the characters in real life! They tweet in real time, so don&apos;t worry about the fact that the story is set a couple months in the future, their tweets will coincide with what&apos;s happening in the chapters when I update! 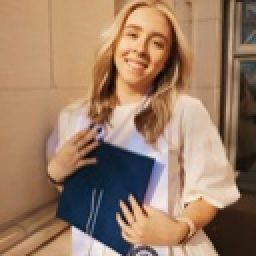 Connor&apos;s handle is https://www.twitter.com/haIIconnor and Sydney&apos;s is https://www.twitter.com/aSYDity_ ! I hope you guys will enjoy interacting with them and enjoy this new idea!